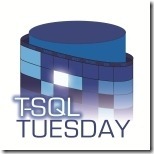 So it’s that time again, T-SQL Tuesday. This week our event is Sponsored by Jes Borland (Blog|Twitter). So Jes what’s the subject? So Dear Reader, Aggregation it is! We’ve all probably done our fair share of fancy aggregates, I have to say that most of the code I’ve used aggregates for is for business functionality and sitting with clients that I’ve worked for in the past. I think we all have a nightmare report, script, or task that we accomplished using aggregates and while those things make for interesting stories, they aren’t that useful. I’d like to give you something that you can use, (if you don’t already have a script to do what I’ve done here). 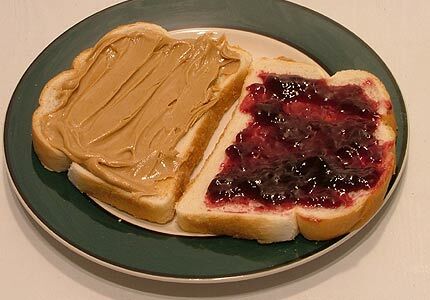 Sometimes the most useful things are simple, like PB & J (simple and delicious!). Here are a couple of queries that I use that have the SUM aggregate function in them. Simple but effective. The first is a quick script that extracts the information from DBCC SHOWFILESTATS and uses the "undocumented" sp_msforeachdb in order to gather total space used by all datafiles on an instance, total space reserved for all data files on an instance, then a breakdown by datafile per database, lastly we take the info from DBCC SQLPERF(LOGSPACE)and sort by the log file size. The second script is of the same concept. You can use the built-in reports “Disk Usage by Tables” to get the same info, but sometimes it’s just nice to build a script to work for you. This script uses sp_spaceused and the "undocumented" sp_msforeachtable in order to build a list of tables by row number and the Reserved size for Data. (I use the Second script on my Compression demos to help you find an appropriate table (size wise there are multiple steps J) while examining compression). Then I do a SUM function on each of the fields to show an aggregate of your database by user table. --and -is not intended to be used in a production environment. --THIS SAMPLE CODE AND ANY RELATED INFORMATION ARE PROVIDED "AS IS"
--FITNESS FOR A PARTICULAR PURPOSE. Happy T-SQL Tuesday I hope you enjoy the scripts! I agree - sometimes a simple query or script is faster than digging up a report. Great info! Thanks for sharing!